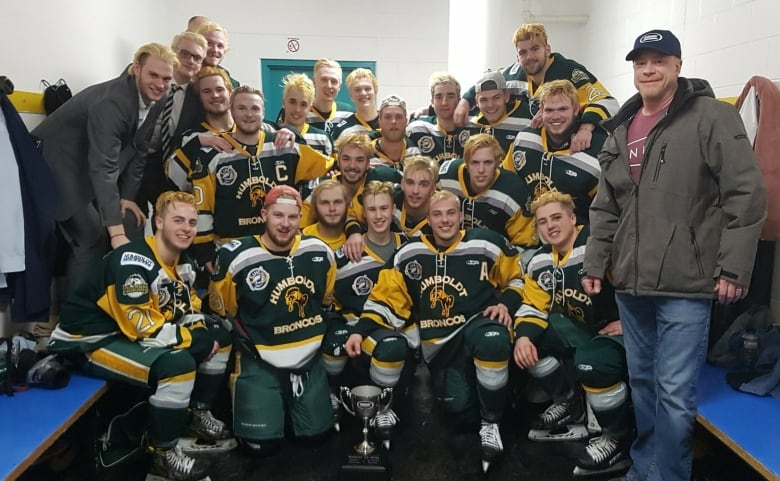 Humboldt Broncos team pastor Sean Brandow has become more famous than he would like. 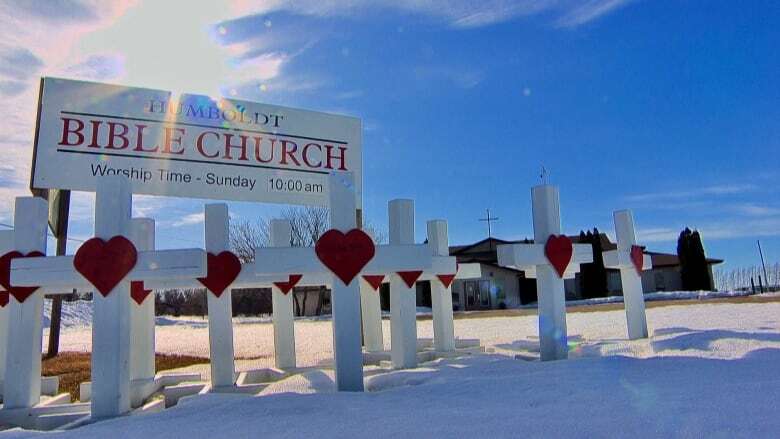 But the 39-year-old pastor will swallow his humility to deliver another nationally televised sermon Saturday afternoon to mark the one-year anniversary of the horrific bus crash that rocked his community and a nation. 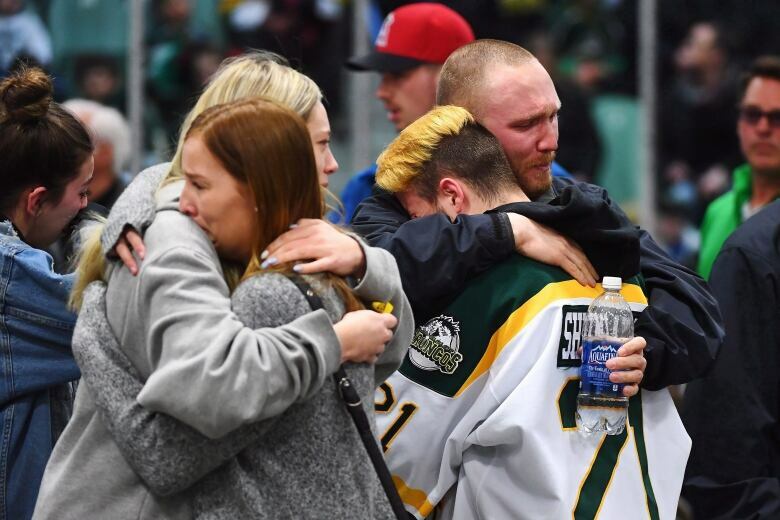 Three thousand people are expected to fill the Elgar Petersen Arena in Humboldt, Sask., to remember 16 people who died and pay tribute to 13 who survived. Some of the survivors are coping with paralysis, brain injuries and post-traumatic stress disorder. Brandow was thrust into the spotlight last April at a vigil for victims of the crash, attended by Prime Minister Justin Trudeau and watched by millions, where he wove together humour, helplessness, and hope. He joked that he couldn’t fit into his suit but was wearing “fancy socks” under his cowboy boots, then sobbed as he cried, “Where was God?” It was a question that resonated with a nation as Canadians grappled with the unimaginable scale of the tragedy. On April 6, 2018, a semi-trailer driver, Jaskirat Singh Sidhu, blew through a stop sign into the path of the Broncos team bus, causing a catastrophic collision that ripped the roof right off the bus. Brandow had driven upon the crash scene with his wife and sons on their way to watch the Broncos playoff game against the Nipawin Hawks. Later, he comforted players in hospital. As he prepares his anniversary sermon, Brandow reflects on collective and public grief, forgiveness, faith and the brevity of life. When Brandow looks out at Saturday’s crowd, he will search for the faces of 29 families whose loved ones were killed or hurt in a crash that made headlines around the world. There are complexities attached to mourning in the public eye, rather than privately, and grieving collectively — forever connected by a tragic event -— rather than individually, says Brandow. He says each person must grieve in a different way, at a different pace. Scott Thomas, who lost his son Evan, says the Broncos families communicate nearly every day on a WhatsApp group or by text message. They’ve reunited frequently at fundraisers, memorials, concerts, hockey games and court proceedings. Russ Herold, the father of the youngest player on the bus, Adam, 16, who died in the crash, has reached the exhaustion point with public grief. His family won’t be attending the memorial service. The issue of forgiveness keeps popping up, but it won’t be the focus of Brandow’s sermon. He doesn’t feel comfortable prescribing forgiveness, as mandated in the Bible, to people who don’t practise the Christian faith. At the sentencing hearing for the truck driver, who pleaded guilty to 29 counts of dangerous driving, families expressed a range of emotions from rage to forgiveness. Christina Haugan, the widow of Broncos’ head coach Darcy Haugan, attends Brandow’s church. Brandow says the Bible is clear that those who have been forgiven by Jesus for their sins are called upon to forgive others. It’s a conscious decision one must make, according to the pastor, and should not hinge on whether the person deserves to be forgiven. “There’s great freedom in forgiveness,” he said, noting that it has freed him of hatred, anger and bitterness. For him, it was not a crisis of faith. But he understands how it could be for others. The crash, and his inability to make sense of it, has only cemented Brandow’s belief that God is in charge. “I’ve become more convinced that God is in control. I’ve also become more convinced that I don’t always understand,” Brandow said. As the Broncos’ pastor for eight years, Brandow didn’t do traditional religious rituals with the players. He didn’t lead prayers in the dressing room. For him, it was about forming relationships and being available for chats, usually during outdoor excursions, hunting, fishing, or sharing a meal. If he could, he’d start a conversation about God. But often, it was about trying to make young men look beyond hockey and find their place in the world. In one team exercise, the players had to take turns diving to the bottom of a pool to collect and assemble PVC pipes. They were restricted to just one breath before giving the next guy a turn. As the anniversary approaches, Brandow is convinced the crash made all of us acutely aware of our mortality. A reminder, he says, to make each breath, each moment, count. It can all be gone in a second.